Are you financial advisor? These are your tools! 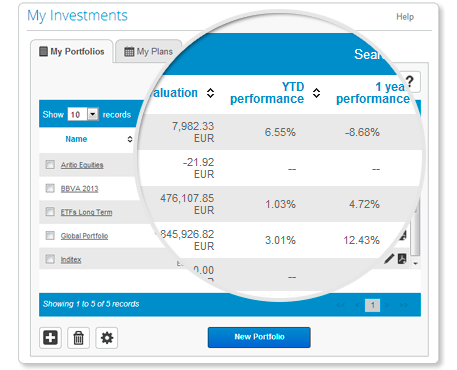 T-Advisor is a software suite with a wide range of different tools for investors. The aim of T-Advisor is providing accurate, updated and relevant figures and data for agents in the financial system. We do not only think in particulars or individuals, but also in advisors, who will have access to all tools and an enlarged set of services. 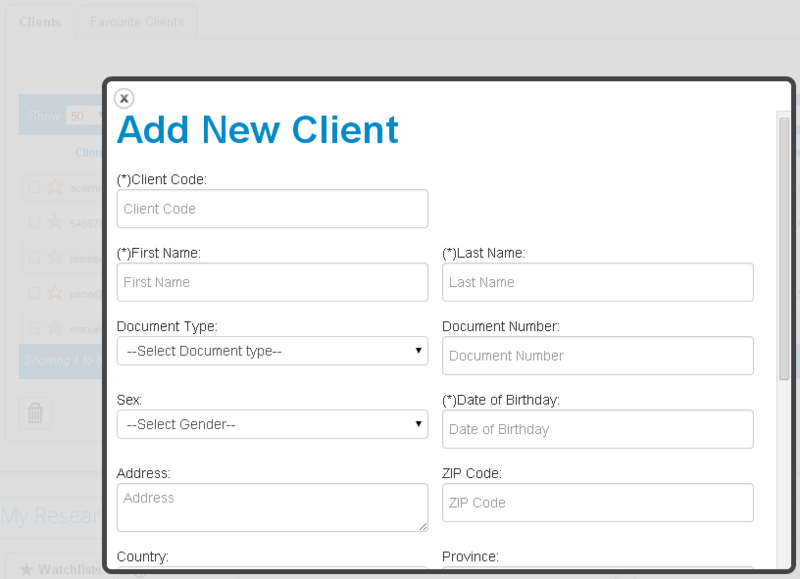 We have developed powerful tools to help advisors provide the best service to your customers. T-Advisor for financial advisors offers a customized asset universe, so that professionals can choose and change the portfolios depending the situation and taking advantage from the best performances. The access to historical data is enlarged up to 20 years, so that advisors can perceive detailed trends from the assets they are interested in. We also give the chance to manage up to 100 portfolios, which is a reasonable number to design different solutions depending the customers’ profile. But our main strength is our financial planning tool. Advisors may set a goal for the different customers in the short and long term. The tool also provides a savings plan to obtain the projected performance. First of all, professionals can set the investor profile, depending the risks ready to be assumed. 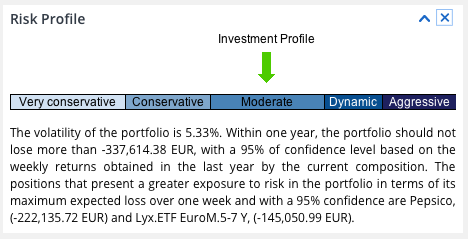 T-Advisor has defined 5 different profiles, from more to less risk aversion: very conservative, conservative, moderate, dynamic and aggressive. After defining the profile, the financial advisor accesses to different products recommended for him or her. 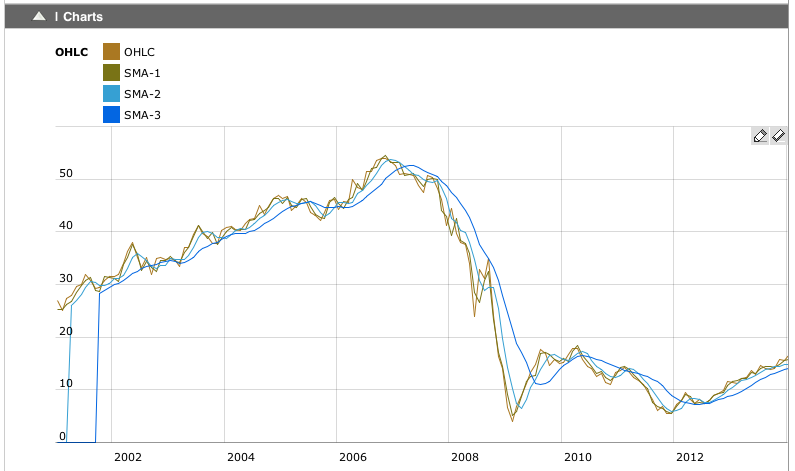 The tool shows many kinds of charts, as the asset allocation or the performance and risks analysis. 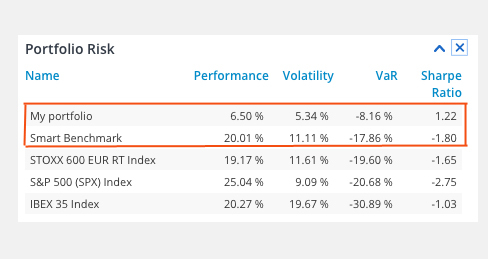 For instance, T-Advisor calculates automatically average performances for different periods, volatility and value at risks, amongst other functionalities. At the end of the process, advisors obtain a proposal report about the designed portfolio for the customer. 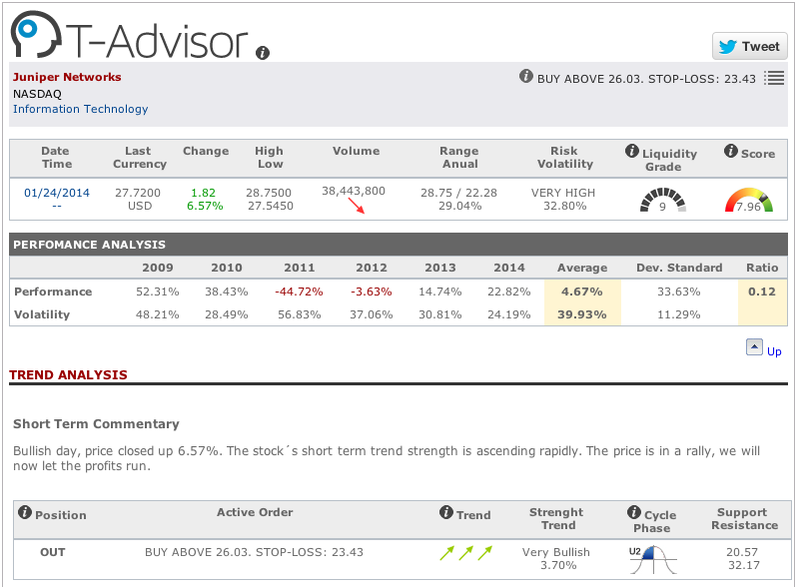 Of course, T-Advisor lets the professional watch, follow up, analyze and rebalance portfolios. Our strength lays on our deep knowledge of advisors’ tasks, needs and interests. We have developed a tool adapted to their daily work, making it easy, automatic and with a high-quality information so that professionals can react immediately to any market change. We are aware that technology is at people’s service and T-Advisor has been developed at investors’ and advisors’ service. This entry was posted in Discover and tagged Advisor, Financial planning, Savings plan on January 30, 2014 by Oscar Garcia. Advisory industry faces the challenge of technological evolution. Currently, customers are connected to Internet, they look for news in well-known media, comment articles from experts and (why not?) discuss the decisions of their advisors, because the follow the market. Are advisors a kind of old-fashioned job or to be extinguished? Absolutely not. But the profession has to take into account some changes to deal with. First of all, advisors have to be on the social networks. Do you know that the use of social media increases with wealth? People are demanding not only for information, but also for a more often personal contact through the networks or communication software (think about Skype, for instance), not limited by a certain appointment in the office. If you are on, you are in. But the biggest challenge is how to deal with online advice. 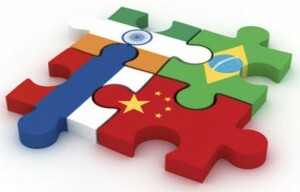 The industry expects that this will be an important trend, as the biggest competitors will come from this side. That is a logical perception, taking into account that brokers expect to see mobile trading’s share rise to 21% in 2016. Particulars, common people, will have available powerful tools to manage their investments on their own, but advisors will learn to get technology as an ally, because software for advisors will be more useful and adapted to customers’ needs and expectations. After this description, will the customer forget the advisor as a needed expert to choose the best for his or her money? No. Customers will take surely more decisions on their own, but they will always need an expert in a world with difficult products, as the finance world is. Recently, James Pershing, partner in SunGuard Consulting Services, said in an article (subscription required) that the point to be successful in the advisory industry is communication. How? Speaking the same language. And again, how? Easy, having the same screens, the same information, the same charts, the same figures, and helping your customer with your deep knowledge to get the best choices and obtain the highest performance. Tools as T-Advisor has this focus: it does not intend to eliminate the advisor, but reinforce his or her job through versions for common people and professionals, so that all speak the same language: an efficient wealth management. This entry was posted in News and tagged Advisor, Technology, Trends, wealth management on January 28, 2014 by Oscar Garcia. T-Advisor, through its tool Market Opportunities, has detected the company Juniper Networks, listed in Nasdaq as an opportunity for investment. Juniper Networks was founded in 1996. It has more than 9.600 employees in 47 countries around the world. This technological company develops devices and services around networks (hardware, design and architecture, open platforms). Its revenue was USD $ 4.4 billion in 2012. This entry was posted in Market Opportunities and tagged Investment, Juniper Networks, Opportunity on January 27, 2014 by Oscar Garcia. Particular investors do not have often much time to monitor their investments. 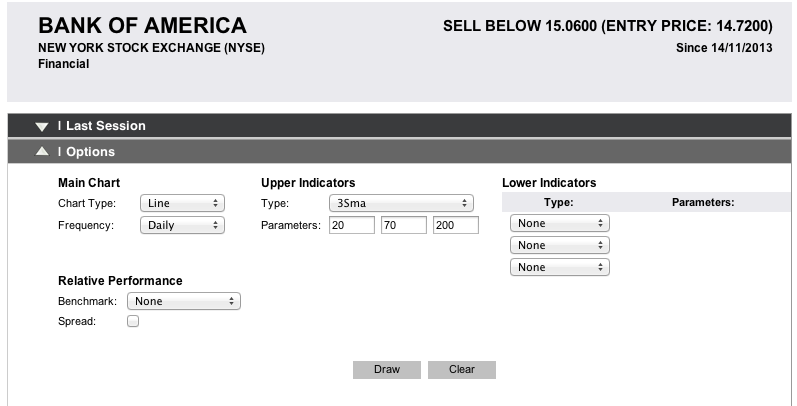 Sometimes, they open the software, play a bit with orders, buy this, sell that… but without a methodology, a periodical systematic and the right tools to obtain the required information to take the best decisions, this investor is possibly wasting time and losing money. But what about if you have in your investment tool a reference to follow? These are the quant model portfolios in T-Advisor. Quant relates to quantitative analysis. This methodology is based on complex mathematic-in-finance calculations to measure risks, performances and volatilities. 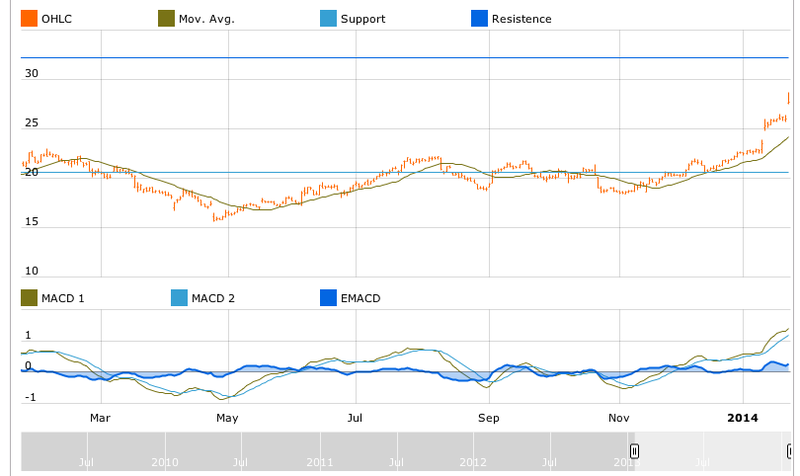 It provides a tool to analyse the best assets to invest. 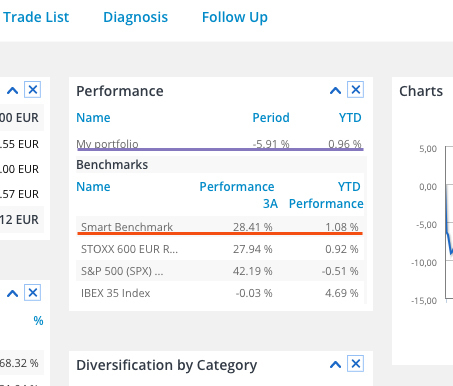 As invertor and T-Advisor user, you can choose between your own portfolios or simply following these models. What are the main advantages? Our experts design these portfolios choosing different countries and currencies. Moreover, every option provides an optimal asset allocation depending your own interests or profile. Our Research Department works hard amongst wide databanks to find trends and correlations. At the end, you obtain an active management not perceiving it. Of course, these portfolios are not static, but they are revised and rebalanced every two months. The results of this intense work are shown in the next chart. 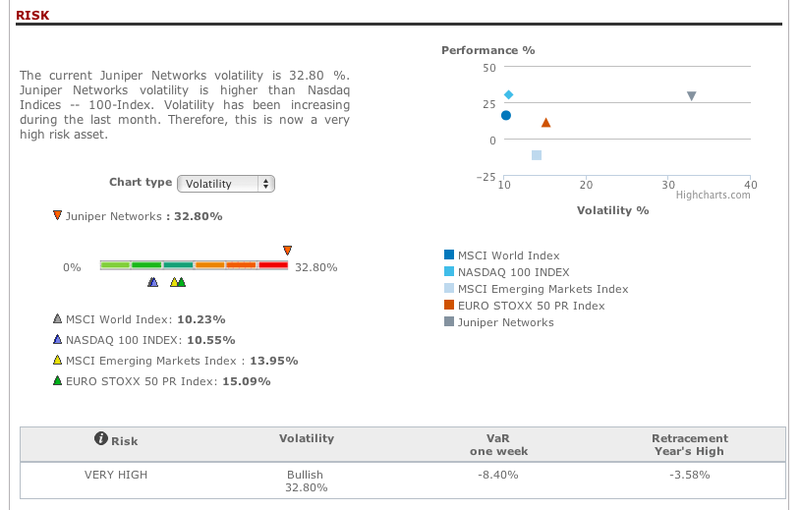 None of our model portfolios registered losses and all of them have a low to moderate volatility. This entry was posted in Discover and tagged Investor's profile, Methodology, Quant portfolios on January 23, 2014 by Oscar Garcia.